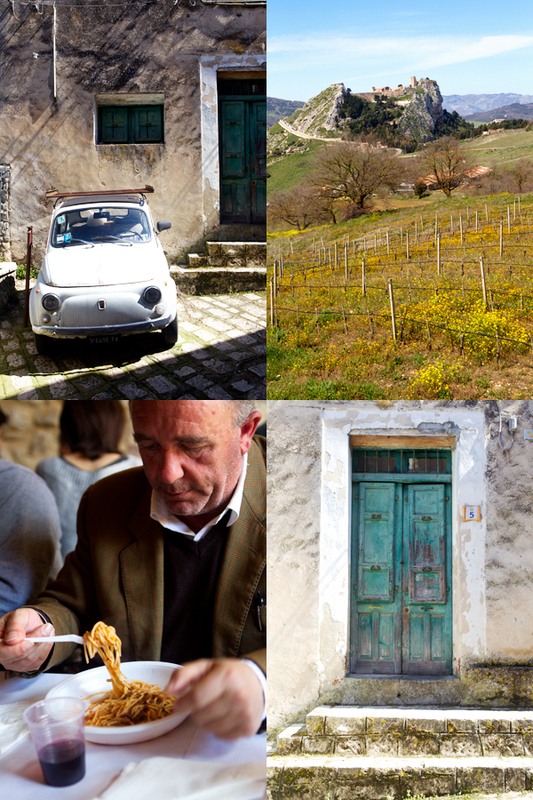 I still cannot decide what I loved the most about my recent trip to Sicily. I keep changing my mind on the topic. To start, there was Fabrizia, daughter of Anna Lanza who founded the Anna Tasca Lanza Cooking School where we were invited to spend five days. Then there was the amazing culturally rich group of people I joined who had flown from all across the globe–from Japan, Scotland, England and Germany. 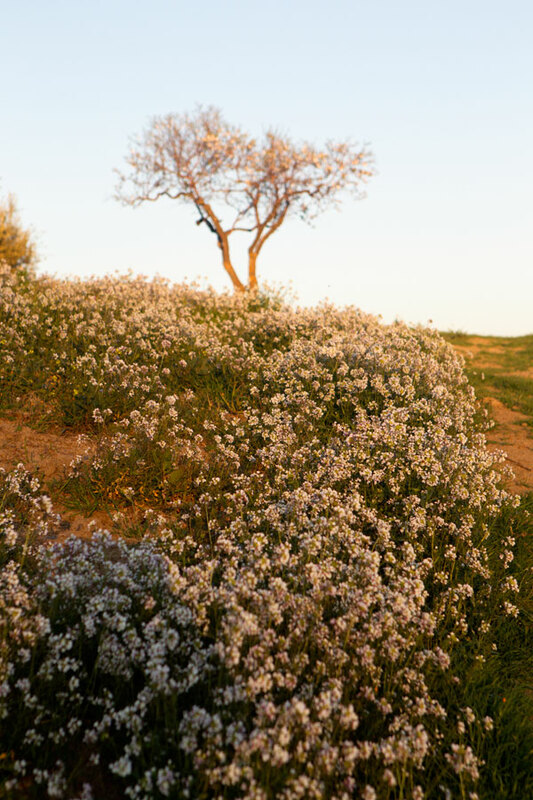 There was also the casual beauty of Case Vecchie, the heart and soul of the school, and the gorgeous wild flowers beautifying every landscape that unfolded before our eyes–they knew well I was going to go crazy when I’d catch sight of them everywhere. And then there was the food and wine with behind it all, the friendly faces of Sicilians. Clearly, this all felt like a dream. Except that this dream was real. I had only traveled to Sicily once before when I was in my early twenties. Which oddly didn’t leave me with strong memories about Sicilian food. Fabrizia took care of changing that image for me. 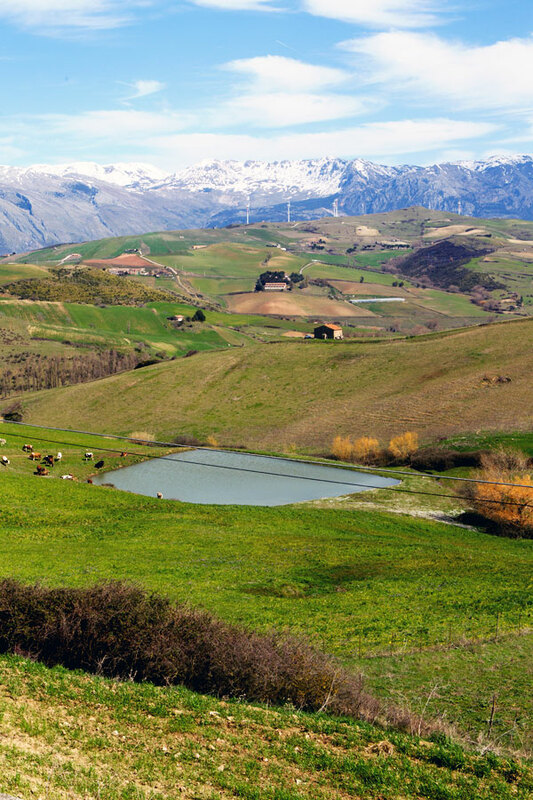 Fabrizia is the daughter of Anna Tasca Lanza, a known name on the Sicilian food scene. I feel silly to admit it but, because she is Sicilian, I didn’t imagine that Fabrizia could be tall. But she was. Framed by beautiful gray curly hair, her face always expressed a genuine smile enhanced by bright blue eyes that exuded an obvious joie-de-vivre. I didn’t imagine that she was going to welcome us like family either. But she did. Generously. 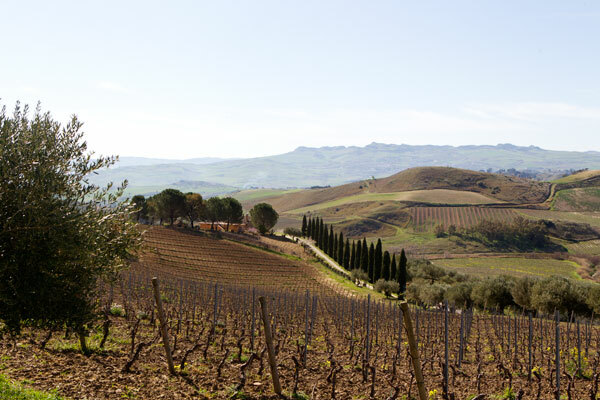 In 1989, Fabrizia’s mother, Anna Tasca, decided to open her cooking school on her family’s 19th-century estate known for its fine wines. Although she didn’t at first have any other intention but enjoy cooking, her school rapidly acquired a reputation on the international scene. 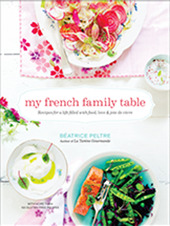 During her lifetime, Anna met food icon Julia Child. 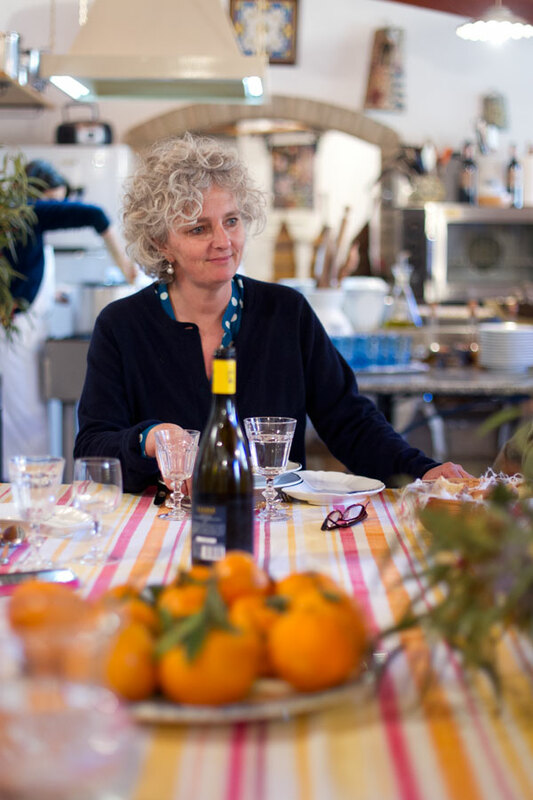 She appeared on the Martha Stewart Show and wrote a few cookbooks on Sicilian cuisine–which revealed the beauty of Sicilian land and cuisine to the world. Fabrizia was her only daughter. Fabrizia didn’t know that one day, she would join her mother’s culinary adventure. Feeling asphyxiated on the island, she left Sicily at the age of eighteen. She graduated with a literature degree in Art History and worked for twenty years in the museum world. But when that ended and her mother suddenly needed help, she didn’t think twice about it. Her food-impassioned roots were calling and she decided to return home. And in July 2010, when her mother regretfully passed away, Fabrizia decided to naturally take on the beautiful mission of continuing what her mother had started with the cooking school. No doubt that this must be something running deep in their family’s genes because Fabrizia does it with grace and elegance. Case Vecchie, the house where the school is located, is a gem. Shall we take a walk on the property? Fabrizia asked us one day by late afternoon. We were far from imagining what was going to unfold in front of our eyes. 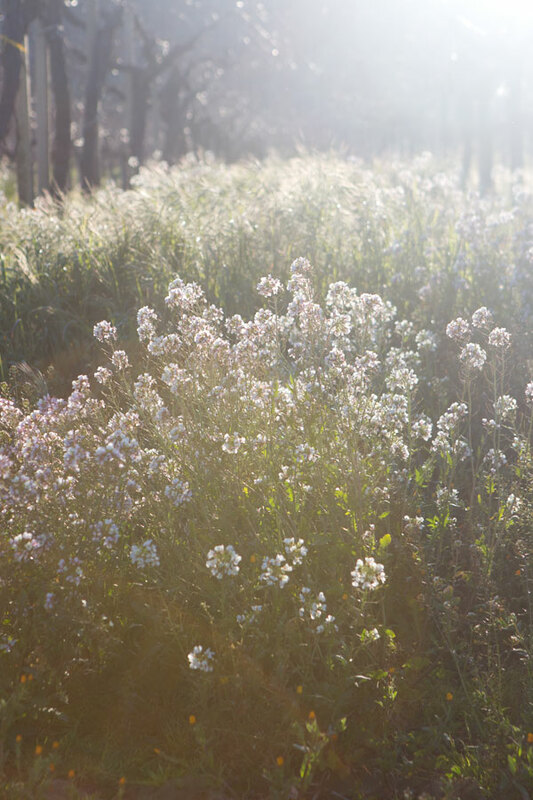 Surrounded by over 1,000 acres of vine-covered rolling hills–home to their family owned magnificent Regaleali wines–the old stone house with its bright blue gate is filled with character: from olive, almond, and citrus trees, to its well-cared vegetable garden and numerous outdoors sitting areas. We had five days to spend on the property. To cook and eat and learn. We savored every minute of it. Our daily schedule repeated itself rhythmically: wake up, walk, cook, eat, rest and relax, take a walk or visit a local artisan nearby while sharing stories, and start all over again. Three times a day. Not a minute growing tired of it. It was a simple formula that allowed us to sense the pace of life at Case Vecchie. It was impossible not to fall in love with it instantly. I thought I’d share tidbits of what we did. What we ate. What we saw. With words and pictures–many of them. 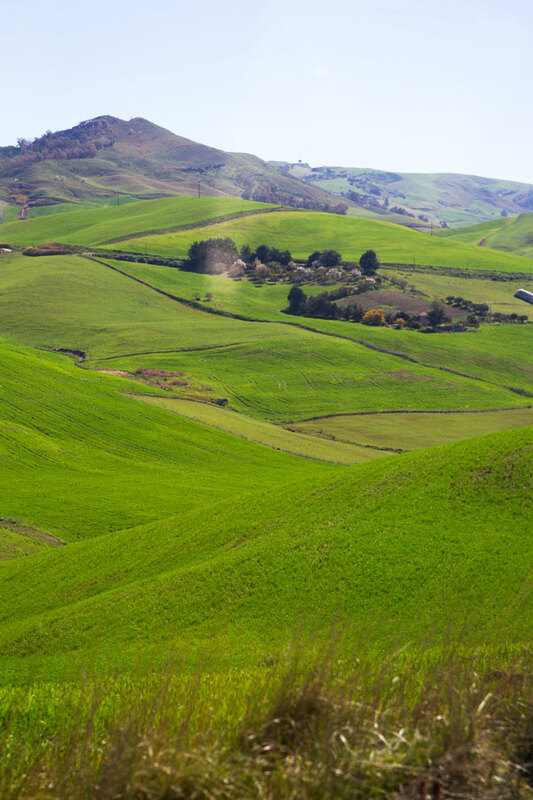 –I was convinced that I had been fooled when I found green grass, snow-capped mountains with an Alpine-looking flair that reminded me of Switzerland or parts of the French Alps. They created these breathtaking views. –I now understand that I didn’t know what ricotta is supposed to taste like before I ate Sicilian farm fresh ricotta cheese. We even enjoyed it for breakfast with homemade jams and cakes. 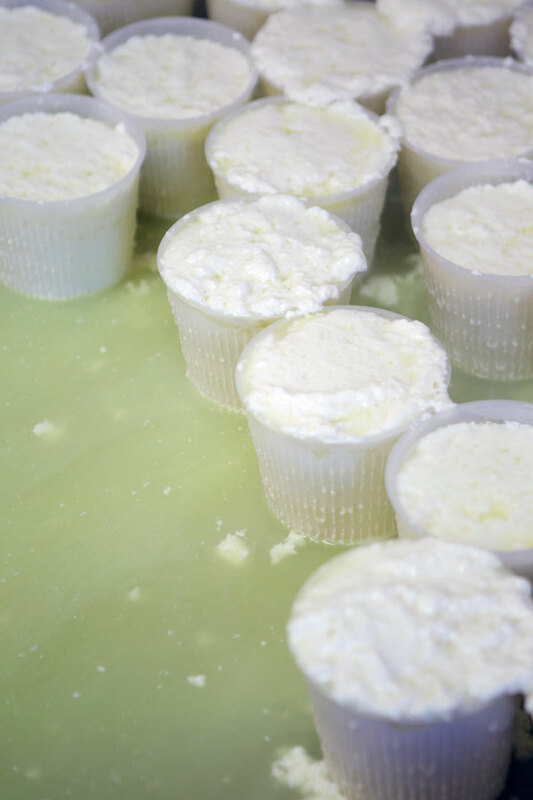 I adored the visit to a ricotta cheese making farm nearby. –I had the taste of a vanilla orange for the first time. This surprised me with something completely different (mellow) from what I had expected when thinking about the taste of an orange. 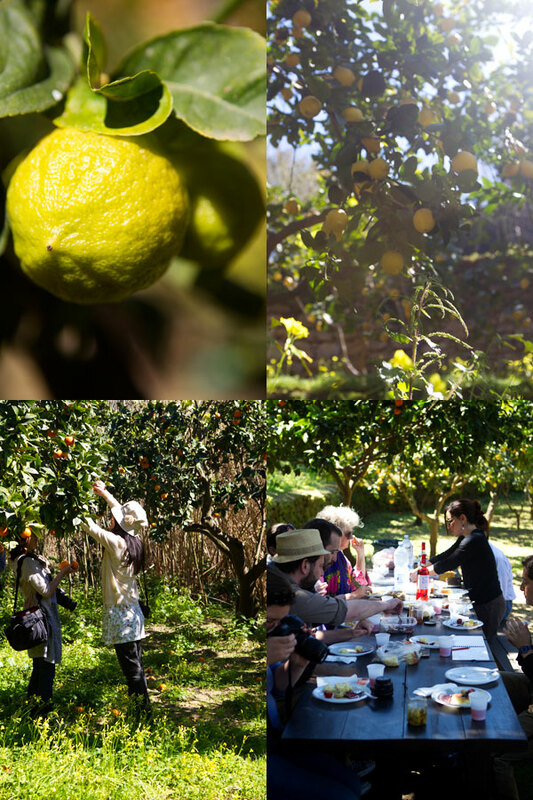 –We indulged in a delectable picnic prepared by Fabrizia in the magnificent citrus orchard (orangeraie) Giardino della Kolymbetra. There was so much poetry in this place. In the peaceful moment we shared while enjoying homemade foccacia, olives, artichoke and pepper preserves, Sicilian cheese and cured meats. I am still dreaming of the oh so! utterly delicious blood orange sorbet Keiko prepared with some oranges we *discreetly* stuffed in a bag for the dinner all of us cooked to celebrate our stay. If I thought before that eight people simultaneously cooking in a kitchen would lead to chaos, I was proven wrong. 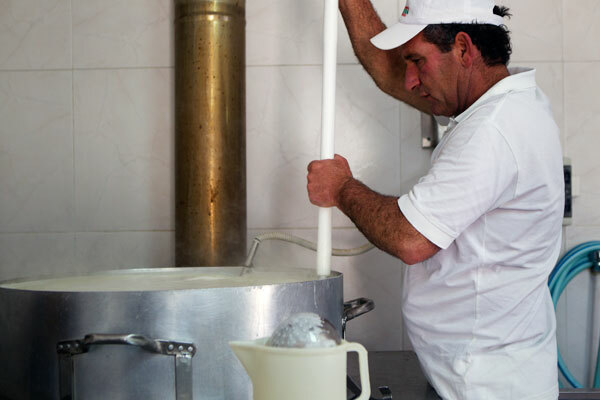 –I was not aware that Sicilians love to deep fry food–and they do it so well. We tasted scrumptious panelles (chickpea fritters similar to a Panisse, a speciality from the south of France). Fabrizia showed us how to prepare them so that they remain thin (the batter is spread thinly onto plates) and very crisp once they are fried. I noted this as an excellent amuse-bouche idea to enjoy with drinks before a meal. –We attended the feast of Saint Guiseppe (St Joseph day during Lent) in Sclafani Bagni, a small picturesque village perched in the mountains. 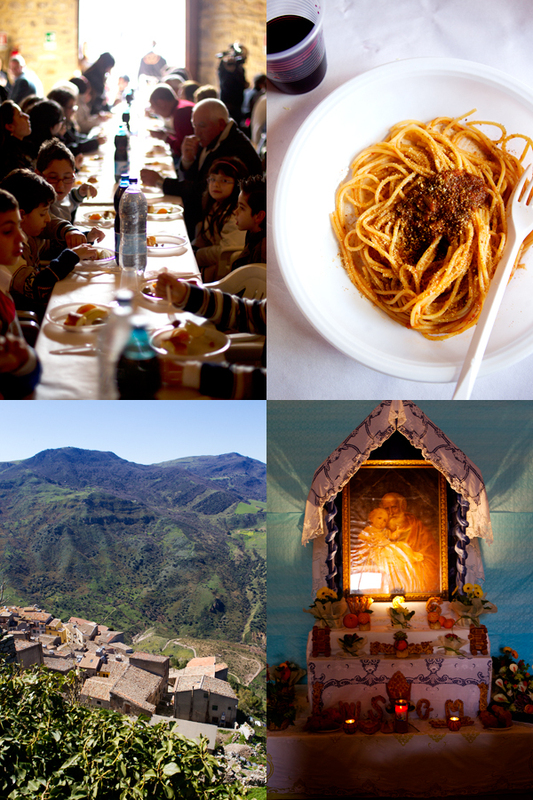 We shared a traditional meal with the people from the village and discovered about the tradition villages nearby keep on that day: families prepare food altars that display ornate breads, pastries, and symbolic foods like fava beans and fennel, for the poorest children in the village. Many families believe that having a St. Joseph altar can bring good fortune. 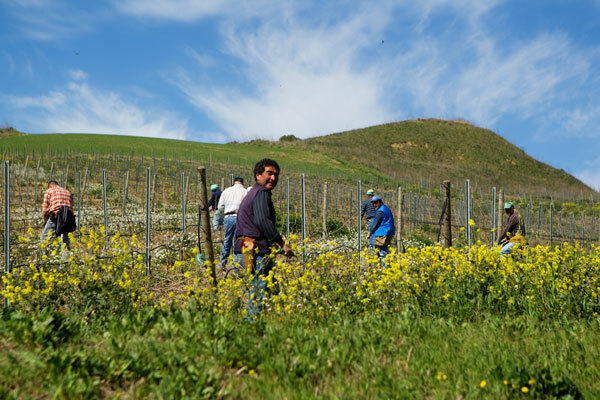 —Sicilian cuisine relies heavily on seasonal local food. Dishes are simple. They celebrate ingredients to the core. 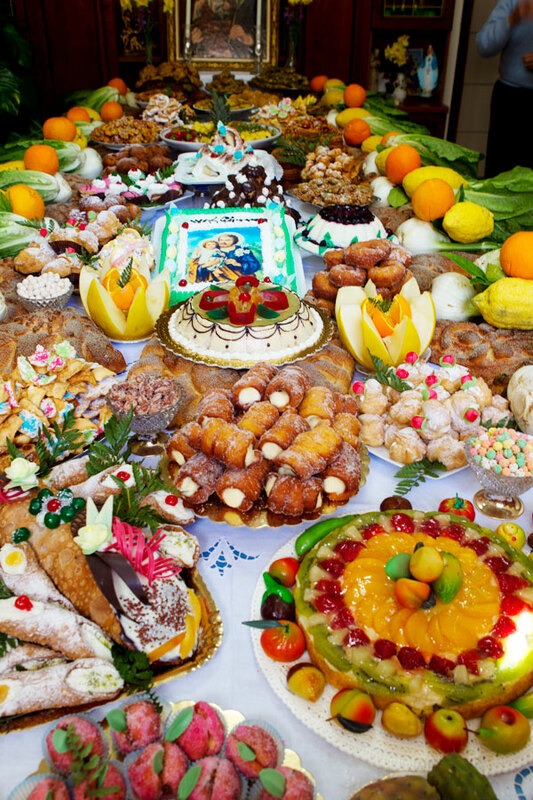 Sicilian cuisine is different from Italian cuisine, I heard Fabrizia say when asked. 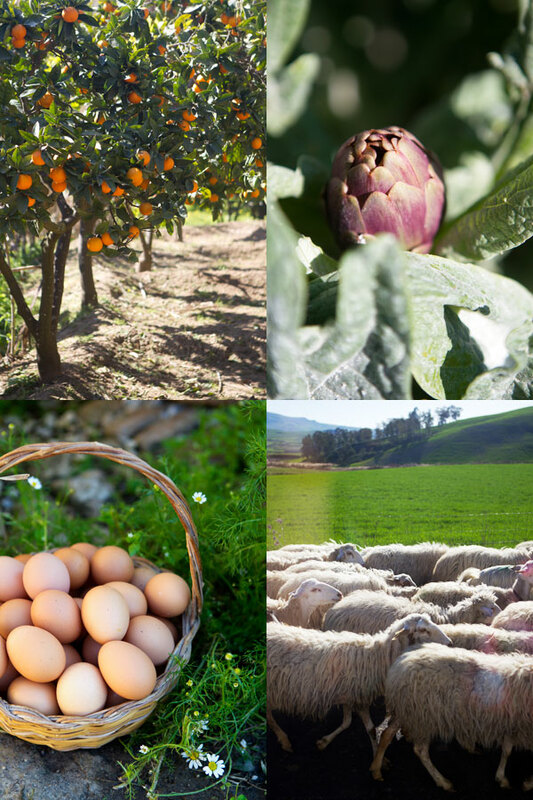 We understood how–even when similar vegetables and produce are used. We tasted scrumptious fennel salads prepared with citron (not the French word for lemon by the way, but cédrat instead), stuffed artichokes, Fabrizia’s oh so delicious artichoke caponata, macco soup and pasta con le sarde (a traditional pasta dish served with a sauce made with fresh sardines and wild fennel). Are you new like I was to the taste of wild fennel? 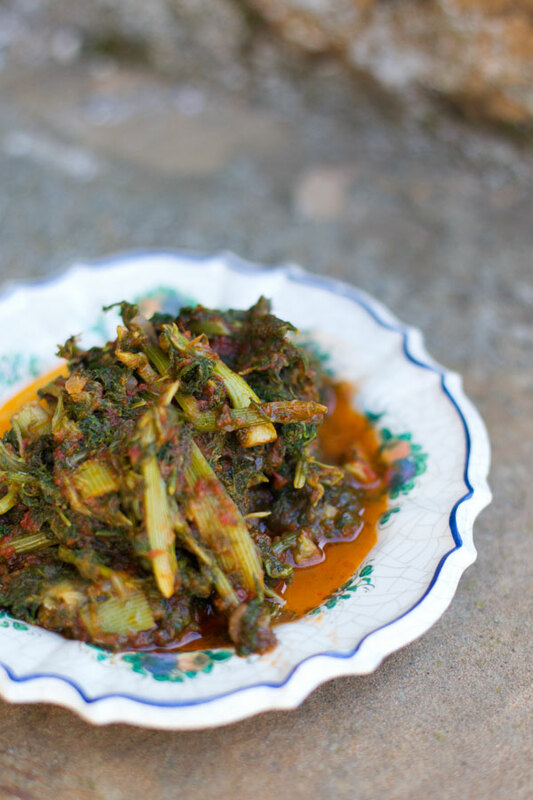 I loved the vegetable so much that I promised to myself that I’d try to plant some in my garden. –I learned that once baked, a sponge cake makes a funny squeaking noise when you press on it. Yes, I know, this sounds rather odd but you must try it! This might make you smile the way it did for us. 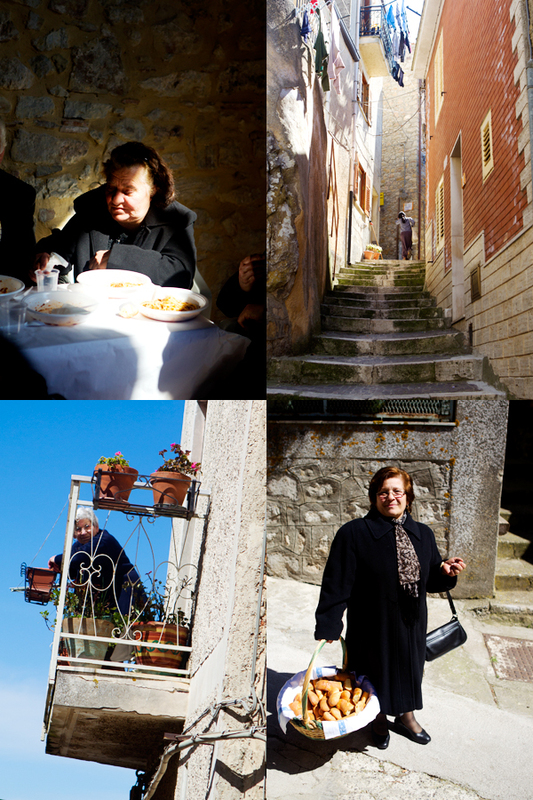 –I learned that Sicilians are generous people that are always ready to help and share. 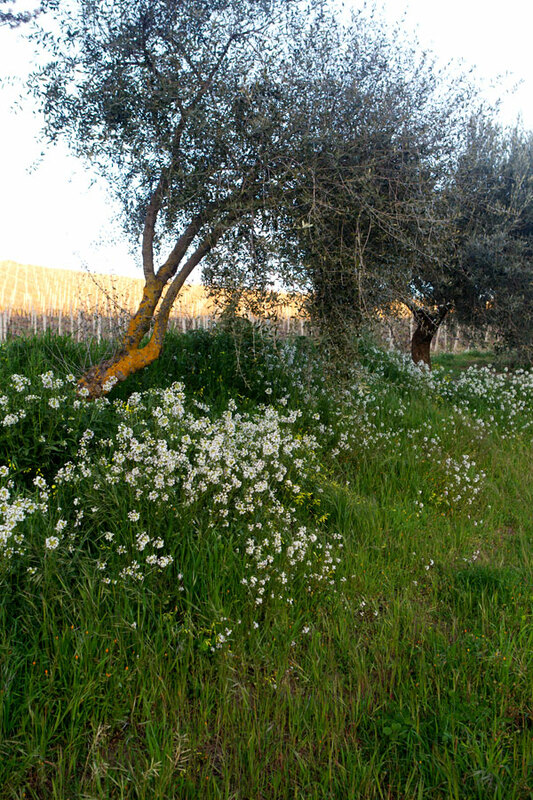 –I realized that the best time to come to Sicily must be Spring and that the best way to experience it is the way we did at Case Vecchie. Treated like true members of a Sicilian family. We talked and laughed a ton, we cooked and ate and drank amazing food and wine. We built precious memories in Fabrizia’s kitchen. And we made friends. So naturally, when I came home, I was inspired to bring Fabrizia’s recipes in my kitchen. So I cooked away. Even feeling a little Sicilian while I prepared ricotta gnocchi and biancomangiare (blanc manger) and citrus puddings for friends and family. I had never heard about it before. But after Fabrizia prepared some for us one night, I fell in love with its delicate flavors and texture right away. Somehow, that dish was very Sicilian to me. Showcasing the best the garden can offer. The soup is simple. Hearty. It speaks of what Sicilian food is all about: recipes with a lot of character that require only a few steps and ingredients that stand out. 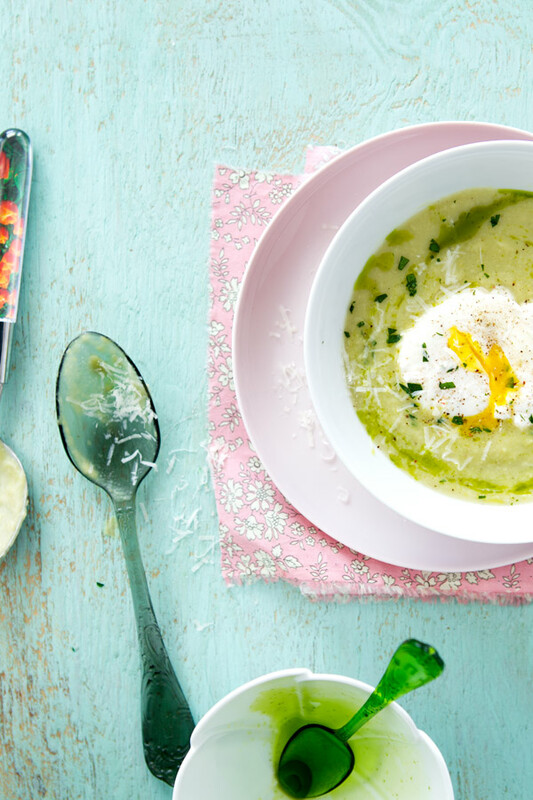 Macco soup has three ingredients: onion, fava beans and Pecorino cheese. I was inspired to serve the soup with a poached egg on top, the way Fabrizia prepared it for us. 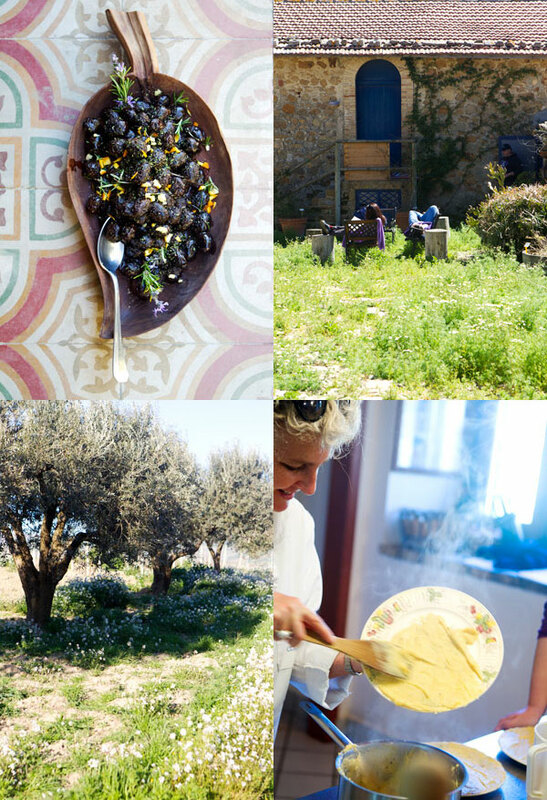 Thank you Fabrizia, Mita, and Gianluca for making this delicious culinary adventure possible. I cannot wait to come back to visit and taste more of Sicily. When short of fava beans, I’ve also made this soup using frozen lima beans. The result was excellent. I’d gladly try with edamame beans as well. I cooked this recipe the way Fabrizia taught us to. But I’ve also created my own variants (because I cannot help but try fresh herbs and see what happens. It was lovely with tarragon and also sage, like suggested below. In a heavy bottomed pot, heat the olive oil over medium heat. When warm, add the onion and cook for 2 to 3 minutes, or until soft and golden. Add the fava beans, tarragon, and parsley, and continue to cook for a few minutes. Cover with the water. Season with salt and pepper. Cook the fava beans until they break down and form a purée. Discard the parsley. Stir in the Pecorino cheese. Serve with poached eggs, chopped parsley and a drizzle of olive oil. And more grated Pecorino, of course. J’ai également préparé la soupe avec de petites fèves Lima congelées à défaut de fèves fraiches. Le résultat est excellent. J’essayerais bien aussi avec des fèves de soja. J’ai aussi préparé la soupe comme Fabrizia nous a enseigné. Mais j’ai aussi fait mes versions, en rajoutant des herbes fraiches, comme de l’estragon ici. Faites chauffer l’huile sur feu moyen dans une cocotte à fond épais. Une fois l’huile chaude,ajoutez l’oignon et cuisez pendant 2 ou 3 minutes jusqu’à ce qu’il blondisse. Ajoutez les fèves, l’estragon et les branches de persil et cuisez encore pendant quelques minutes. Couvrez avec l’eau et salez et poivrez. Cuisez jusqu’à ce que les fèves se décomposent en purée. Enlevez le persil. Ajoutez le Pecorino et mélangez. This is one spectacular post Bea – amazing and positively brings back a flood of vivid memories to me, who, lucky and unbelievably, was actually there and sharing all this with you. All images are wonderful, but I really love the one of Fabrizia’s… it conveys her beauty, warmth and grace so beautifully. I’m also making macco soup and got myself some fava beans, but your idea of using edamame instead is totally great – will have to give it a try when the fresh ones come around in the summer. Thank you so much, Bea, for sharing this! I have been waiting for this post since we talked about your trip when you came to Montreal to present your book. Thank you especially for bringing back to my memory all the scents and tastes of Sicily (which actually are always present…). And by the way, if you succeed in plant and grow some “finocchietto selvatico” (wild fennel) in your garden, please let us know! I’d like to try it too, but I am afraid that Montreal weather is way too different from Sicilian one. I’m dreaming about some wild fennel on pasta with sardines and tomato sauce! Oh, how beautiful this blog is! You transported me back to Sicily from my kitchen table. I met Anna Tasca Lanza in the 90’s She was on tour in the states promoting this book, and she visited my Dad’s restaurant.. She gave me one of her signed cook books and a black leather notebook and told me to write and preserve all my nonna’s and aunts’ recipes. ( I am sicilian, and recipes and food preparation, growing, etc. are such an important part of life)..
Could you recommend online shops where to buy such a beautiful plates, bowls etc. what we see on your posts? They’re gorgeous! 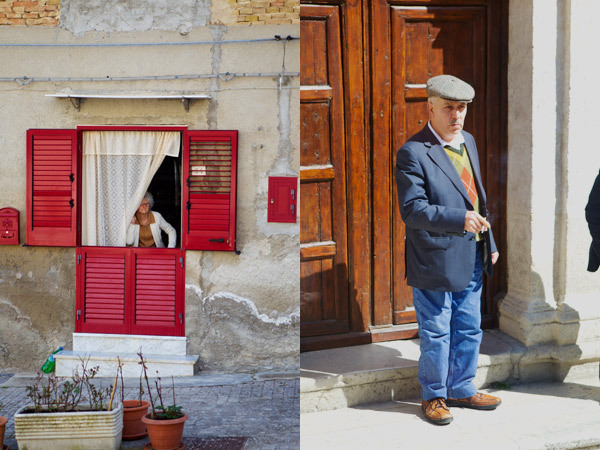 These photos transport me to Sicily. I have only one word to describe them: Beautiful. Thank you for sharing! Such a delight. Beautiful pictures.. The first one could be a Vermeer, or a Caravaggio..
Amazing photos. 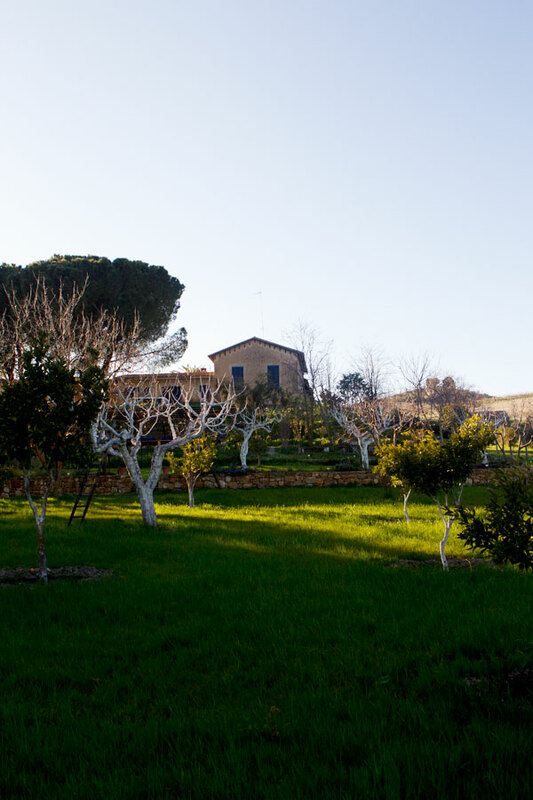 I’ve been to Italy, but never to Sicily and this makes we want to pack up the family and go! 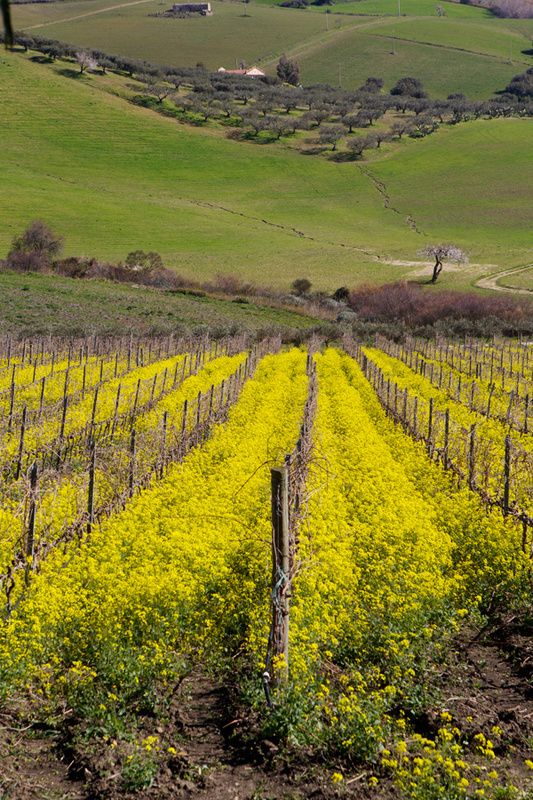 The shot of the mustard in the vineyards on a steep slope is amazing – pulled me right in. Lovely post, as usual, beautiful photos! What an experience! 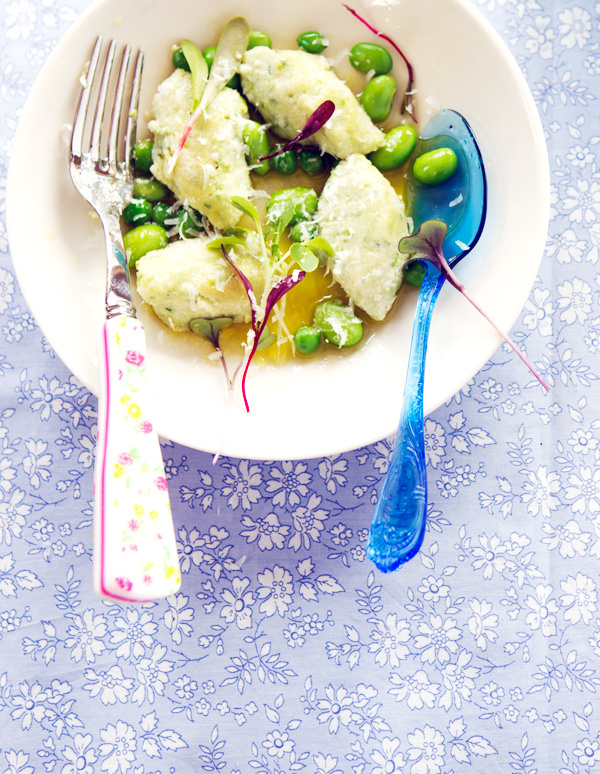 S’il te plait Bea, can you share the Ricotta Gnocchi recipe? I can not wait to try! This is too good. I love these photos! That sounds so amazing. I had already read about the trip over on The Traveler’s Lunchbox, so it was great to get your perspective too! Do you think you could share the recipe for the chickpea fritters? I ate them at a Sicilian restaurant in Rome and they were SO amazing! Oh bea, i am so glad you did not rush this post. it is beautiful, i could feel the sun in your images, smell the prepared dishes. Fabrizia is beautiful and i have no doubt of her welcoming nature. 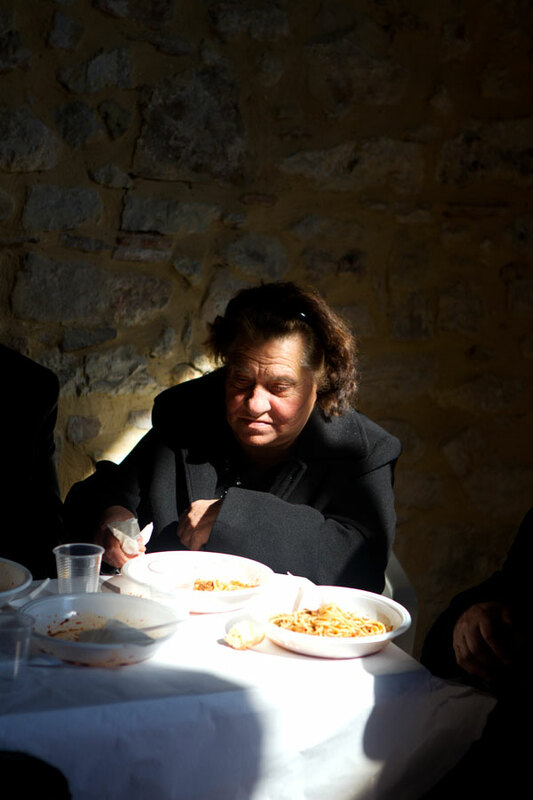 The picture of the elderly woman, her gestures and the way the light caught her face reminds me of my grandma Ines so very much, for a moment i felt like she never left this earth and if i where to hop on a plane to sicily i would see her again. 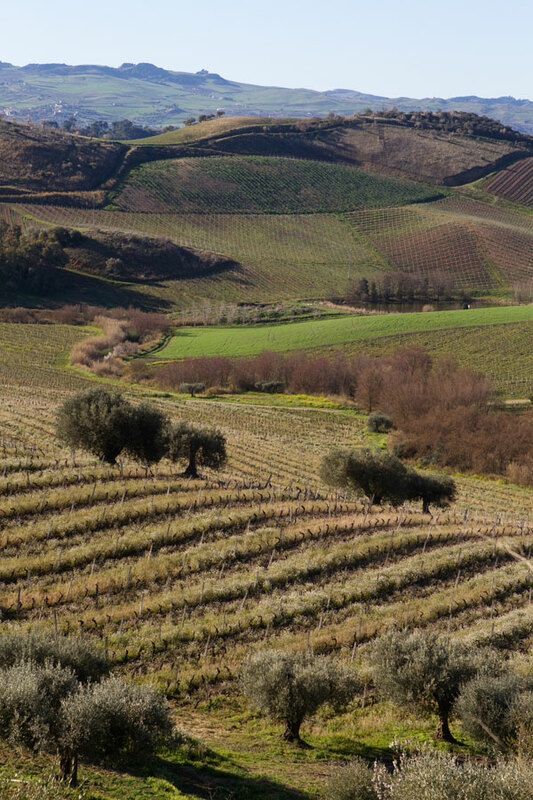 ( les larmes) there is something magical about faces in front of a sicilian landscape that makes me long for an afternoon among them, or two. Les photos sont magnifiques! Wow! 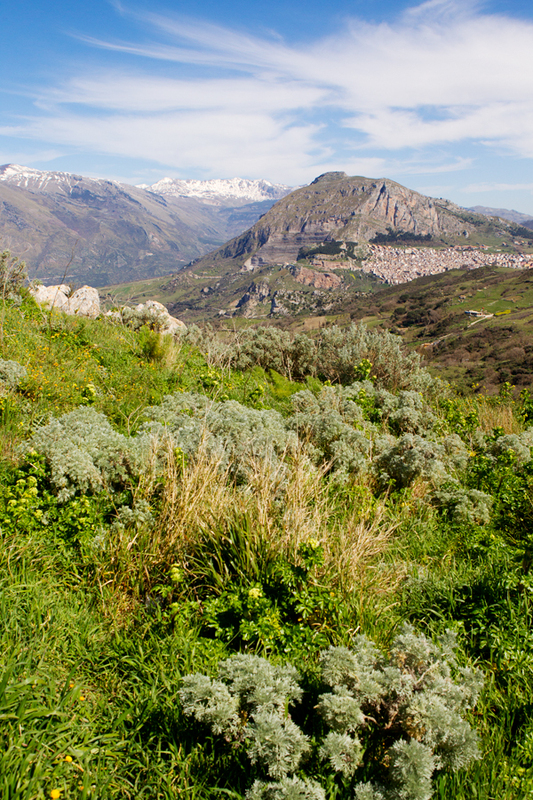 This post makes me want to jump on a place to Sicily right away! Absolutely gorgeous! oh my goodness. that ricotta. those sugar peaches. the life you lead! so wonderful. thank you. such a dream. thank YOU beatrice. we miss you, come back whenever you need it! Your photography is so lovely. But it’s particularly lovely when you venture away from your trademark palette of turquoise, acid green and pink. I would love to see you style food with the same warmth and variety that you shoot faces, places and native dishes…but still, of course, with your artistry, which, in the end, is your unique eye. I’ve never cooked with a fava bean, but if I see some soon, this is the recipe I will try. It looks like heaven in a bowl! Absolutely Brilliant! I have traveled to Italy a few times now and have never had the opportunity to create such a beautiful chronicle of my time there. Your viewpoint and pictures most perfectly capture the very essence of that country and its people and what a treat to see such humane photos of the people living there. I enjoy every minute of it and will most certainly be enjoying that recipe! I always enjoy your stories and your photography. It may interest you and/or your readers to know that New Orleans celebrates St. Joseph feast in the same manner as you experienced. Many of the local restaurants, churches and individuals present St. Joseph altars in thanksgiving of favors received in the past or for future favors. These altars are open to the public and after viewing, the food is donated to a hospital or served to the viewers who always give a donation to a charitable cause. Oh my. . . . beautiful. Quelle beauté! Comme il est bon et beau de te lire chaque fois et de t’accompagner dans toutes ces merveilles! Désolée de t’avoir manquée à Montréal. Je suivrai tes traces siciliennes en voyage. Continue ton excellent et savoureux travail. Tu es beaucoup plus qu’une inspiration. Ta rigueur inspire et respire. Wow…..just wow. 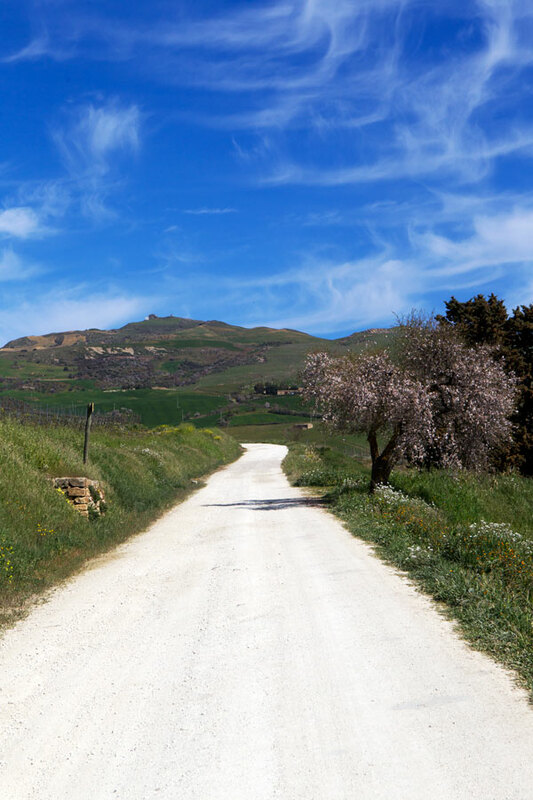 Inspired photos and writing – your ability to transport people into your experiences is inspirational, and each time, whether a trip to Sicily or to a local apple orchard, it FEELS incredibly intimate and special. You truly have an amazing talent, Beatrice, thank you so much for sharing it with us. 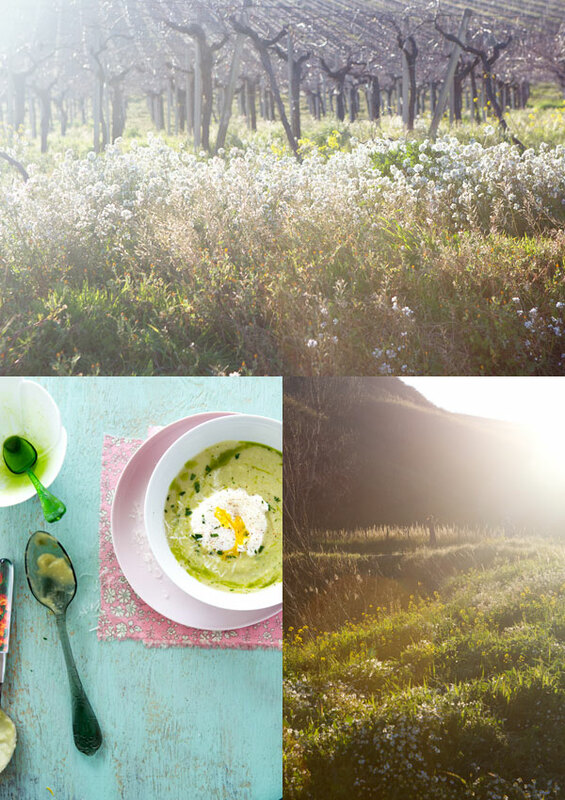 What a lovely recount of an unforgettable journey to Sicily… thank you so much for sharing with us your experience in words, food, recipes and pictures… so inspiring! amazing scenes, beautiful shots. i’m sure it’s a not-to-miss trip to Sicily. 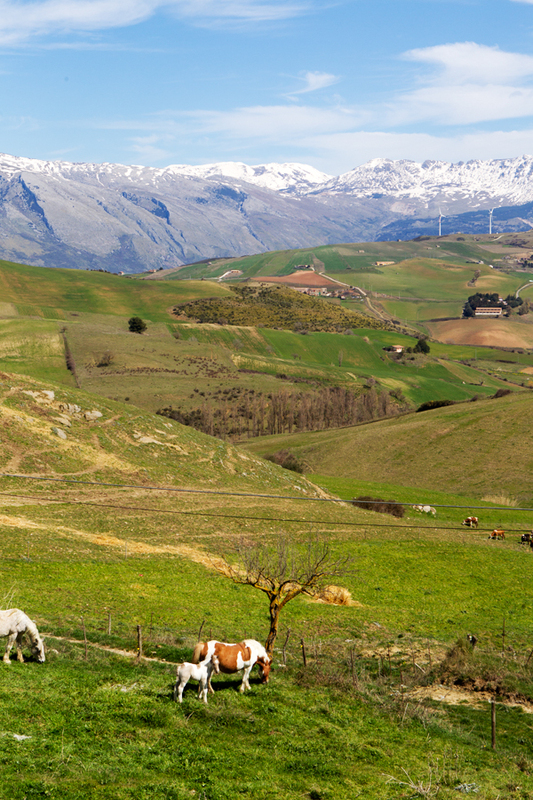 What a fantastic tour through Sicily and what an experience for you! Thank you for putting this article together and letting us share it with you. 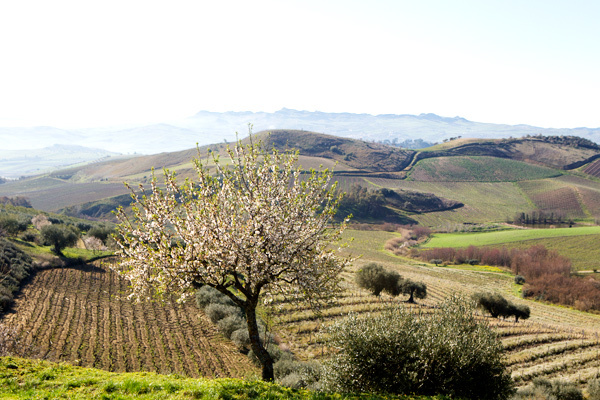 ahhh, Sicily… it must be beautiful in Spring. Can I just say one thing? It’s Giuseppe, not Guiseppe, if you like to correct it. I just returned from Italy and it was so wonderful to see all your fabulous photos from Sicily.I’ve never been and it’s on my list for my next trip. Thank you Bea-simply gorgeous. Wow wow ….. juste. Des photos et d’écriture inspirés – votre capacité à transporter des personnes dans vos expériences est une source d’inspiration, et à chaque fois, que ce soit un voyage en Sicile ou à un verger de pommiers locale, il se sent incroyablement intime et particulière. Vous avez vraiment un talent incroyable, Béatrice, je vous remercie beaucoup pour le partager avec nous. Seems like you had a lovely trip. Thank you for sharing your thoughts and pictures! The soup sounds delicious, perfect for a late spring lunch. Hope to make it soon. Gorgeous, gorgeous, GORGEOUS! 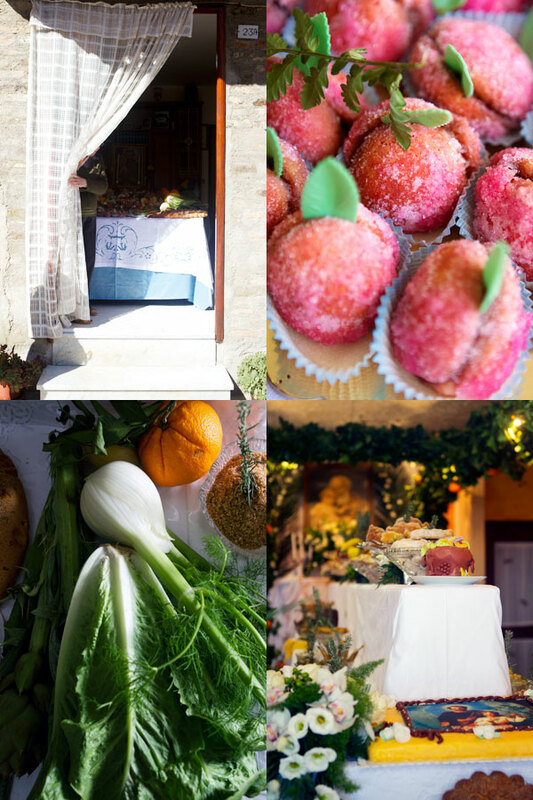 Photos, narrative, everything … making me hungry and homesick and happy all at the same time (and I’ve never even been to Sicily). Thank you so much for this BEAUTIFUL refreshment for the spirit! Beautiful photos Bea. Sicily looks stunning. Tout est si beau et les plats dont tu parles ont l’air si bon. Cette caponata au fenouil, tu en connais la recette ? Gorgeous photos, Bea. Thank you so much for sharing. 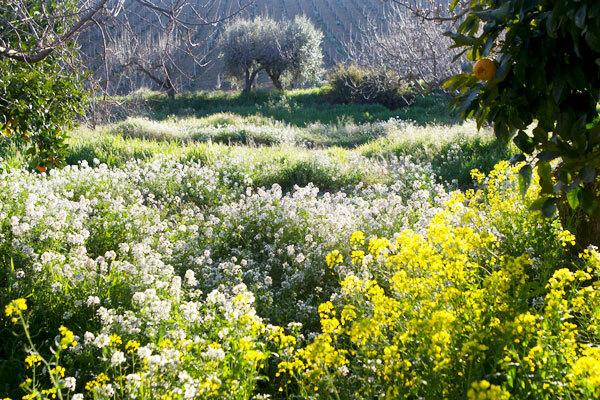 I was in Sicily about the same time of year last year, and it was just as wonderful. Any chance of more Sicilian style recipes? We enjoyed everything we ate there. truly inspiring. would love to see a Facebook SHARE button. Your photos are amazing? What camera do you use? Any tips. What a wonderful, adorable post with amazing and gorgoeus photos – thank you so much, Bea! Lovely, thanks for sharing, the story and the photos was just lovely. i spent 10 days in Sicily a couple of years ago, loved it,the people and the food,i will go back again this year i hope. Thak you, Bea. Posts like this one about your trip to Sicily are the best way for me know distant and beautiful places. 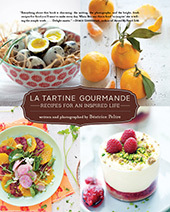 From you own home garden to idillic European corners, there is no better mix of gorgeous pictures and gastronomic life. For food lovers (I own a small tuscan style restaurant in Caracas) this page is a must see -and live. Thank you again! I am in awe. We stayed only one night and it was shortly after Fabrizia’s mother had passed away. It was a time for her to take hold of what she had rejected. Her father was so beautiful to be with. A true gentleman. It was one of the most lovely travel experiences of our lives. amazing scenes, beautiful shots. I love Sicily.